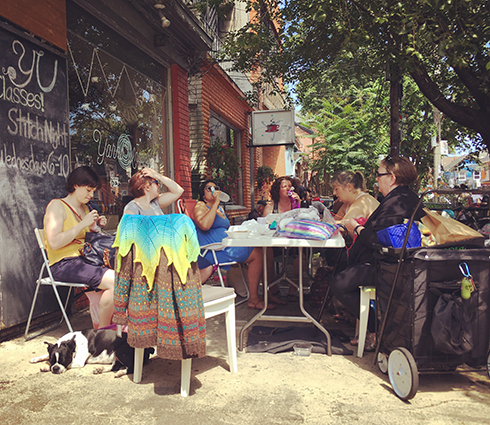 Last week I helped out with the TTC Knitalong and yarn‐hopped with a wonderful group of people around the city yarn‐crafting and sharing laughs! Thought I’d share some highlights! We then hopped over to the bright and sunny Knit‐O‐Matic. Must remember that they carry Lily Sugar ‘n Cream cotton. I love summer knitting with cotton. 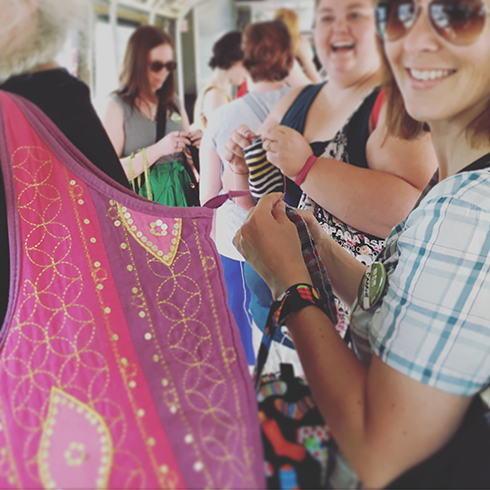 Eweknit not only has yarn, it also has WATG kits (heart‐eyes) and tons and tons of gorgeous fabric! Then we took a break for lunch. We went to Little Sito for Lebanese brunch, which I’ve never had before. 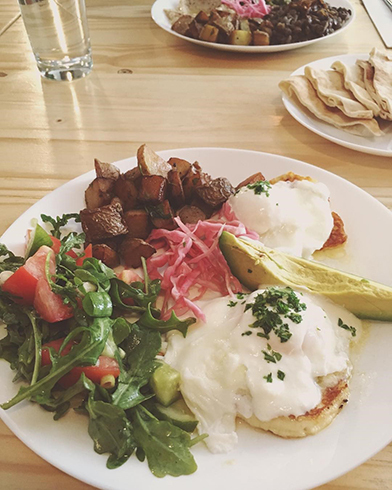 The perfectly poached eyes on rich fried cheese, avocado, herbed home fries, oh my. Highly recommend it! 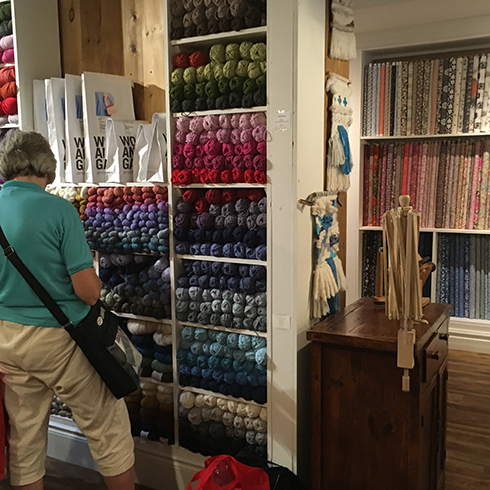 After lunch we went over to Yarns Untangled in vibrant Kensington Market. 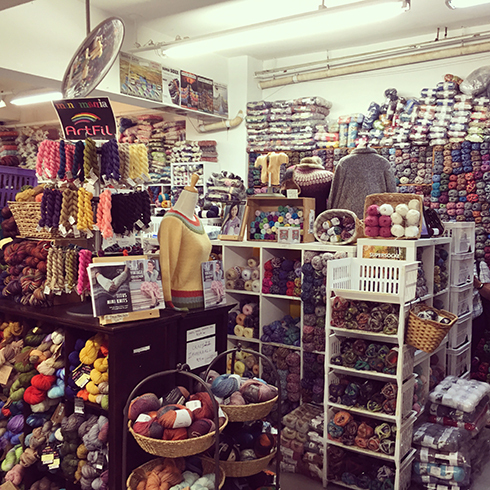 It has the perfect knitting spot for knitting/napping under the tree :) Also love that this shop always carries products from local artisans like greeting cards, soaps and buttons, in addition to unique hand‐dyed yarns. Knitting along on the TTC! Knitting while standing in a crowded, moving streetcar is a Torontonian superpower. I’m actually quite directionally challenged (had to consult with my compass a couple of times throughout the trip! 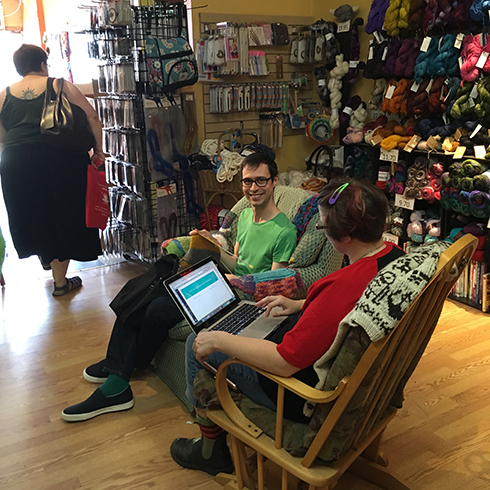 ), so thankful for participants who super knew where they were going, and for a relatively easy, relaxing route :) Though because I’ve never led a team before I was quite nervous about remember the route and keeping time, so I didn’t try to buy anything until our last stops. But I did bring home sweater quantities of Briggs & Little wool (Canada’s oldest woolen mill!) 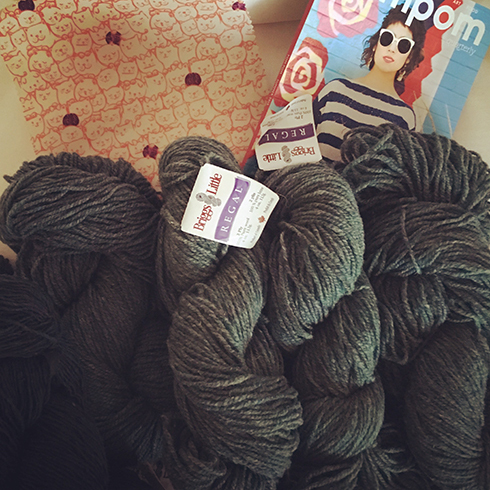 in these beautiful shades of green, a back issue of Pom Pom magazine with lovely summer sweater patterns, and a beeswax food wrap with piles of cats on it to reduce the use of Saran wrap! 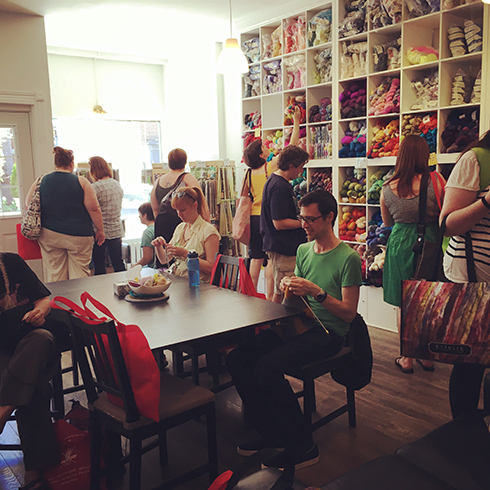 We’re so fortunately to have so many local independent yarn stores in Toronto! I’ve always just known they are there but don’t really visit, because going to Michaels is easier, and I’ve started to take them for granted. Will have to make a point to visit them more often!